Welcome to School of SHODO! 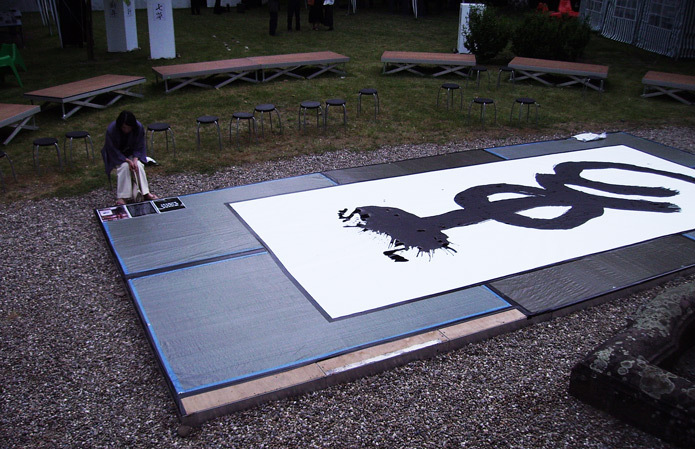 the way of Japanese calligraphy. and fascinated me all the way and still does now. the better the brush flowed, and I became more peaceful. This is for me the most sensational aspect of SHODO learning. I try to bring across this essence to every student of mine and at every session remind them of it. Nowadays we tend to see only the results or the pure technical elevation and materialistic rewards. However - every process and stage of learning Shodo is to be your treasure and a sense of deep peace in you is much more valuable. It's been already more than 30+ years since I got familiar with brush and ink and attached to SHODO. 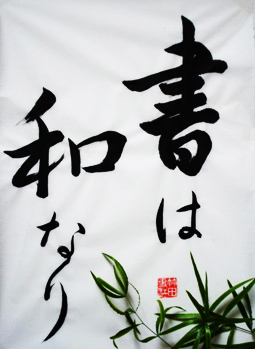 The more I get to know about SHODO, the deeper attraction I find in the world of calligraphy. I feel grateful that I do spend my time and energy in the world of SHO which has such a rich and long history giving endless possibilities to discover peace and harmony in myself and outside the world. which I have studied and developed from my experience as a calligraphy teacher and as an artist over the years. And I really wish that the harmonious circle of people who enjoy the richness of SHODO expand more and more- both in Japan and all over the world. Have a moment of inner peace with a cup of tea!